Walsall goalkeeper Joe Slinn, defender Dan Vann, and striker Cameron Peters are currently spending time away from Banks's Stadium in search of some all-important first-team football. Stopper Slinn, who joined the Saddlers on a free transfer from Port Vale over the summer, is with Rushall Olympic, whilst academy products Vann, and Peters are with Matlock Town, and Bromsgrove Sporting respectively. All three of Walsall's active loanees, which doesn't include recent Loan Deadline Day departure Mitchel Candlin, were named in their respective team's starting line-ups on Tuesday evening as their loan spells continue. Joe Slinn once again continued his spell between the sticks at Dales Lane with Liam McDonald's side facing Redditch United in the Evo-Stik Southern League Challenge Cup. As with last weekend's league clash with Biggleswade United, Slinn, who has started every Pics game since joining the club in the summer, was unable to keep a clean sheet as his side were knocked out of the tournament. This game had everything, seven goals, two red cards, and countless goal-scoring opportunities at both ends. 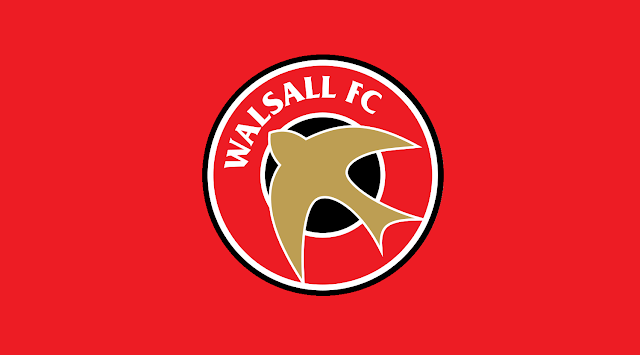 It was Rushall who took a seventeenth minute lead when former Birmingham City midfielder and Walsall trialist Ashley Sammons, took advantage of a poor back pass to slip the ball under the advancing goalkeeper. Two yellow cards in the space of eleven minutes saw the Pics reduced to ten when Orrin Pendley saw red but they went in at the break in front. Redditch made the most of their man advantage in the second-half and were soon leading by three-goals-to-one as Montel Gibson (2), and Gianfranco Gabbadini put their side in a strong position. Shortly after Ashley Sammons grabbed his second goal of the night United's Montel Gibson completed a fine hat trick when his header flew past Slinn in the Pics goal. The home side were then reduced to ten when Marshall Willock was sent off after his second booking of the game and in the third minute of time added on Brian Smikle made it 4-3, but that was the end of the scoring as the Pics exited the Southern League Challenge Cup at the first hurdle. Central defender Dan Vann, who joined Northern Premier League side Matlock on Deadline Day, was named among the starters as he temporary side took on Whitby Town. The Gladiators, who arrived at the match after two straight defeats, were on the losing side once again as three unanswered goals were enough to see Whitby home to victory, with their 'keeper Jack Norton never really coming under threat, despite carrying an injury for much of the contest. Goals from Matty Tymon, (45'), Dale Hopson, PEN (87'), and Junior Mondal, (90+2') saw the Seasides home to a superb victory. Plenty for the Gladiators to think about as they have conceded ten goals over their last three games. Striker Cameron Peters was also among the starters as Sporting looked to build upon their comfortable Evo-Stik Southern Division One Central victory over Aylesbury United as they took on Alvechurch in the Southern League Challenge Cup. Academy product Peters, who bagged a hat-trick in last weekend's outing, was unable to emulate his most recent display as the Rouslers were knocked out of the cup after entering a frustrating display. Cameron, who was eventually replaced by former Saddlers midfielder Will Shorrock after around fifteen minutes of the second-half, was left frustrated as Alvechurch booked their place in the next round thanks to Kieron Cook's sixteenth minute stroke, the ball flying into the back of the net from the edge of the area. A disappointing evening for all of the Saddlers' trialists, who now move on to next weekend's matches.